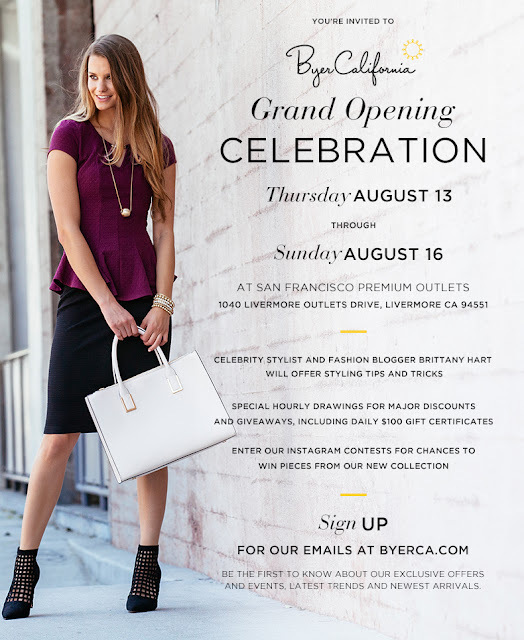 I am excited to share that there is a store opening event going on in the East Bay this weekend that is starting today. 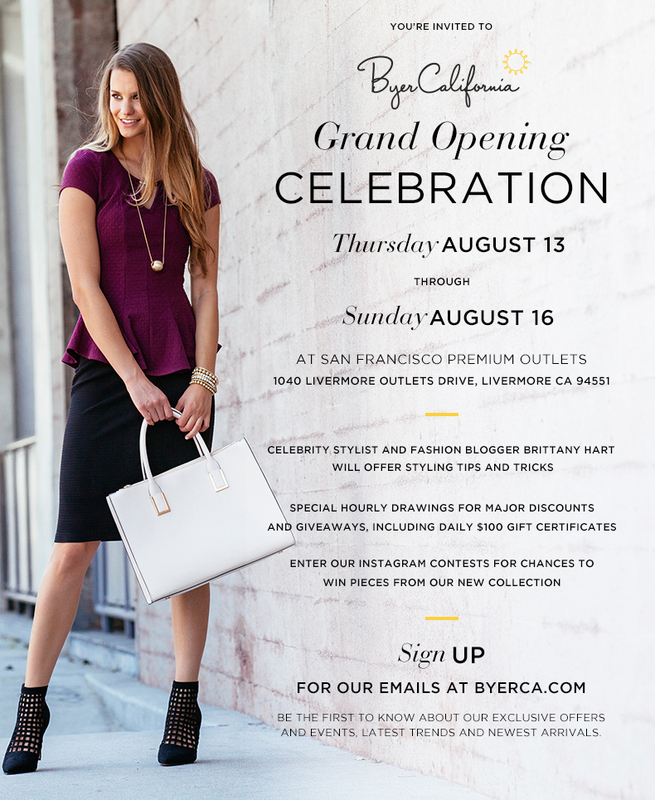 Byer California is opening up their latest store in the San Francisco Premium Outlets. The Byer California brand has been around since 1954 and opened its first location in Tejon. This store opening will be their second retail location. The Grand Opening Celebration is from Friday, August 13 through Sunday, August 16. Celebrity stylist and fashion blogger Brittany Hart will be around offer styling tips and tricks to shoppers. A Grand Opening wouldn't be complete without giveaways, and there will also be special hourly drawings for major discounts and giveaways, including daily $100 gift certificates. Make sure to have your phone charged and follow @ByerCalifornia on Instagram to win pieces from their new collection. I'll be picking up some new clothes this weekend, so stay tuned for an outfit post featuring some Byer California pieces!